Multiple award-winning Author Amanda M. Thrasher was born in England, moved to Texas and resides there still. Author of several children’s books including picture books, middle-grade chapter books, YA and a reader’s theater titled What If… A Story of Shattered Lives written for the Texas Municipal Courts Education Center as part of the Driving on the Right Side of the Road program (DRSR). She’s a multiple Gold recipient of the Mom’s Choice Awards for The Greenlee Project, YA and General Fiction, and for an early reader chapter book, Spider Web Scramble. The Greenlee Project also won first place for YA and General Fiction at the NTBF. Amanda conducts workshops, speaks with kids and teens of all ages, writes a blog, and contributes to an online magazine. As Chief Executive Officer at Progressive Rising Phoenix Press, she assists authors and shares her writing process and what she has learned as a publisher with people of all ages. 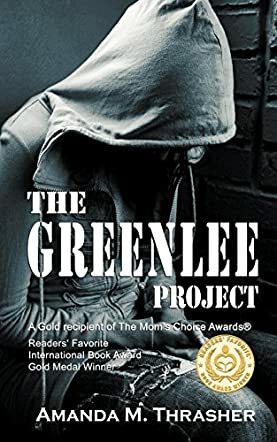 The Greenlee Project by Amanda thrasher is a brilliantly written story about a selected few students who are considered to be the B.P. (Beautiful People) who truly believe that it is they who run the high school that they attend in today's electronic society. The story begins with Greenlee Granger, a fourteen-year-old girl who is going through a huge social dilemma at school. After her father drops her off at school, instead of going inside, she decides to take a long ride on a public bus. Time doesn't seem to exist until she finally gets let off, God knows where, in a town 20 miles away. She finally gets back to reality and calls her father to pick her up. From here the story unfolds as you get to know her circle of friends and social status, as well as the cute new boy that just transferred to her school. Clay joins the football team because he was the star quarterback where he came from. Now he has to prove himself and make the team. When it comes time for him to be initiated, he is allowed to decide the ritual, and sets out to make it a memorable one, so he proposes "The Greenlee Project." The only people that can know about the initiation are his new team mates. That is until queen bee, Laurel, sets her sights on Clay as well. Amanda Thrasher does a superb job of describing the intense situations that arise when the elite crowd's attention is threatened by those that they feel are beneath them. Ms. Thrasher also delivers the pressures that the B.P. experience to maintain their status quo. All of her characters are well developed and, by the end of this powerful story, Amanda adds some unexpected surprises that really put a twist in the outcome. The Greenlee Project is an eye opening, powerfully written book that I highly recommend for teenagers, faculty, and parents. Well done!